MEXICO CITY (CNS) — Caritas Chile has continued moving materials into an area of northern Chile hit hard by an April 1 earthquake and the subsequent aftershocks, which have prevented some people from sleeping in their homes. Bishop Guillermo Villa of Iquique has spoken via radio to the local population, while he and his priests in the impacted cities served by the diocese have continued celebrating Mass and visiting with those whose homes were damaged by the magnitude-8.2 earthquake and subsequent aftershocks. The natural disaster did damage, triggered tsunami warnings and killed six, but has been much less destructive than previous earthquakes in the region. 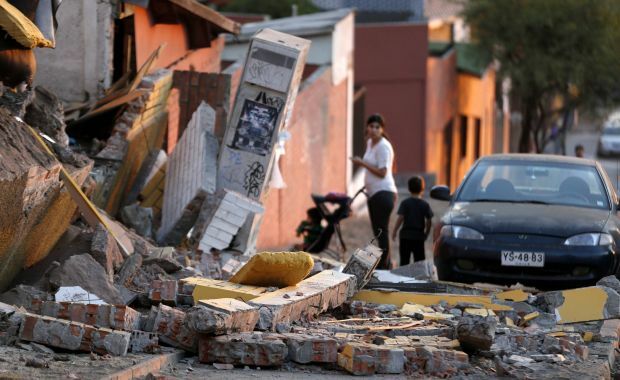 “We’re used to having the ground move often, but not with this intensity,” said Doris De Ferrari, secretary at the Diocese of Iquique offices, commenting after a magnitude-7.6 aftershock rocked the region. That April 3 aftershock prompted another tsunami and evacuation alert for Chile’s entire coastline. “It’s quite worrying,” she added, saying schools and businesses had closed, while highways were wrecked and many homes lacked power or water service. Caritas was working with other nongovernmental groups to coordinate its response, she said, while crews from the church’s charitable arm were still assessing this situation. “The objective is to know what are the real needs and the magnitude of the damage,” she said. “I ask God to grant eternal rest to those who have died, give consolation to those suffering the effects of such a sad disaster and, at the same time, inspire in everyone sentiments of hope to face the adversity,” the pope said.